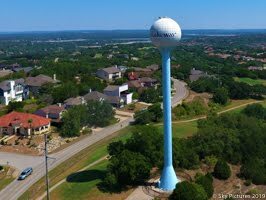 Lakeway Update: LCRA, BOA, Lawsuit and More! LCRA, BOA, Lawsuit and More! Well, it's been a while so let's catch up. I attended the LCRA committee meeting yesterday and they gave a report on the flood of 2018. I think they did an excellent job of managing the flood water and Lake Travis did it's job well. The amount of water that went into Lake Travis would have filled it up if it was empty - that's pretty amazing! My heart goes out to those at Graveyard Point and other low areas. The local churches and many charities are helping those folks out, the compassion of our local citizens is overwhelming, thanks to all those for your donations and prayers. Yesterday the Board of Adjustment met on two height variances. Here is that agenda. Both items were passed unanimously. The elections are over (well maybe, maybe not). We will know about the vote Friday sometime - three votes separate Laurie Higginbotham and Wendy Severance. There is also the threat of another lawsuit against the city from Mr. Kilgore (who supported Mr. Mastrangelo and Ms. Severance). The signs are down, at least most of them. The lawsuit between Cherry Knoll is still rumbling on. This is a suit brought by Cherry Knoll, LLC that has been dismissed twice in Federal court and is now in District Court. The City's plea to jurisdiction was denied but HDR motion to dismiss was granted. HDR was awarded $4000 in attorney's fees and $500 in sanctions against Cherry Knoll. Just a summary - the city bought property from Cherry Knoll for the Flintrock Road Project and has a signed document that everyone signed agreeing not to sue - all were happy. So they sued. Here is the order. Mike LaRocca is part of a group forming to look at solutions for Hwy. 71 after the recent crashes. I look forward to meeting with that group to help them get on the right path. There have been many improvements made on 71 including traffic signals, center turn lane and pavement treatments. We'll see what happens with this. 180 Affordable Apartments are proposed for property across from Vineyard Bay on 620 - here's a link to the article in the Impact. Not in Lakeway, but will affect us with more traffic at a minimum. Congratulations to JoAnn Anderson - she is the proud winner of a new Mercedes! She bought a couple of tickets at Randalls and won the Rotary Car and a trip to Germany to visit the factory! I went under the knife Monday morning and had a cataract removed by Dr. Rhodes. The change was amazing - all those things I thought were beige are really white! Get the other side done next Monday - can't wait! If you have vision problems or questions, I suggest you make an appointment at Lake Travis Eye Center and let Dr. Rhodes fix you up. LakeTravisEyeCenter.com You won't be disappointed! The Wildlife Advisory Committee met last week and approved another spotlight survey this year. They also intend to do a full survey in September 2019. My neighbors hit a deer about a week ago, they were not hurt although the their car sustained significant damage - they have a video but I haven't obtained it yet - maybe next week! I'm behind on my area pictures - been doing cell tower inspections and had a little boo boo last week and hit a guy wire. Wasn't pretty! All should be back to normal soon (insurance is GREAT)! That's all for right now, more soon! Thanks for all the support - let me know if you would like to be added to my email list.